My name is Bill Burge I am a Native Houstonian. When I was ten years old, my Dad, Robert Burge, had to go on a weekend trip to Downtown Houston. He took me past the Majestic Theater on Rusk Ave near Walker St. I noticed the big Majestic Theater marquee sign out front read in big bold letters marked, “STAGECOACH”, all star cast. Below the marquee sign had Norman Rockwell paintings of each star in the film- showing- RED BUTTONS- MIKE CONNERS-ALEX CORD- BOB CUMMINGS- BING CROSBY- VAN HEFLIN- ANN MARGRET- SLIM PICKENS- STEPHANIE POWERS- KEENAN WYNN. If I remember correctly, the date was around mid June 1966, on a very hot day during the summer. The film was produced by 20th Century Fox. They were famous for advertising this great western. My eyes grew huge seeing the big three sheet posters on each side of the ticket booth. On the bottom of the posters had two lobby cards in separate frame holders. Wow! Boy I was hooked on how the theater was grabbing the attention of the movie going public. It stopped traffic, people looking at this great movie marquee. My next story is about the Alabama Theatre on Shepherd at West Alabama. My parents took the family to see the SOUND OF MUSIC, 1965, another Fox film. In the front of the theater it had what looked like a Billboard size poster showing Julie Andrews and Christopher Plummer. I remember this film was doing great business, the Alabama held the movie over for a year into 1966. Then another Julie Andrews film replaced it called HAWAII. In the winter of 1972 I waited in line for an hour to see the POSEIDON ADVENTURE — the big poster that covered half the side of the theater front got everybody in line excited. We waited as strangers, but all of us spoke on the growing anticipation of this wonderful film. Just huddled around trying to stay warm, of course it was packed and sold out. When in the lobby everybody noticed how big the movie screen looked. It was HUGE!! Before the film started they showed a Looney Tune cartoon, the previews of Coming Attractions, and then the 20th Century Fox music fanfare started the film. I noticed the film was shot on a 70 millimeter screen, I was in heaven! Great sound system, felt like you were in the middle of the film. The next story is from the Woodlake Three at Gessner at Westheimer. The theater faced toward Westheimer Rd. The front of the theater had steps going up to the front box office. Those were the very same steps (years later) that my children: Jennifer & Robert had stood on waiting to see RETURN OF THE JEDI, 1984, they were on T.V. 13 Eyewitness news interviewed them to see which actor they liked best. Continuing on, inside the lobby had a big concession stand separated by three movie screens. The film that opened the theater was called the HINDENBURG October 1974 by Universal Pictures. The last story I have is from the last Historical movie theater in Houston, The River Oaks Theatre on West Gray at Shepherd. I like the theater because it has the old neon marquee out front that shines at night. I saw midnight shows that starred the Beatles film in order- HARD DAYS NIGHT, HELP!, YELLOW SUBMARINE, & LET IT BE. The sound was turned up to get the crowd excited! It worked, a packed movie house. My daughter, Jennifer is a little upset River Oaks stopped doing the midnight showings of ROCKY HORROR PICTURE SHOW. That’s why they are classics for all time, you just don’t see too many film makers willing to take the risks to bring such life & beauty to the screen. Hope you enjoyed my film memories of the great Houston interstate theaters. Bill: Thanks for the memories….. I too am a native Houstonian and still have many fond memories of the Interstate Theatres in Houston. I worked as an usher during the mid-50’s at the Eastwood (a twin building of the Tower) and the Santa Rosa. I get very sad sometimes reading Cinema Treasures when I see some cities making a major effort to ‘save’ some of their historical theatre buildings. It still pains me to know that Houston distroyed the first atmospharic theatre build in the U.S. by John Eberson (Majestic Theatre that you speak of in your artile). Now it looks like the River Oaks is next in line for demolition, and possible the Alabama. This is a site that contains the complete library files from the old Bob Baily Studios here in Houston. 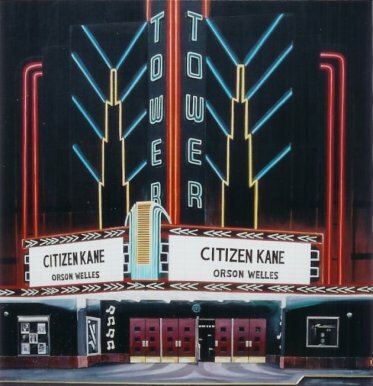 The site has many great pictures of the theatre history of Houston. Once on the site, scroll down to BOX 3N365 and more, then you can click on the various photos – they are all marked and names. I even found some early photos of the Eastwood, where I work during the mid-50’s. want to see a website about a new book on movie palaces in houston texas by david welling go to website http://www.cinemahouston.info/ the book will come out at the end of the year 2007.